99989WA1 Jada Toys - Metals Die Cast | Bigtime Kustoms 1959 Cadillac® Coupe Deville™ Hardtop. 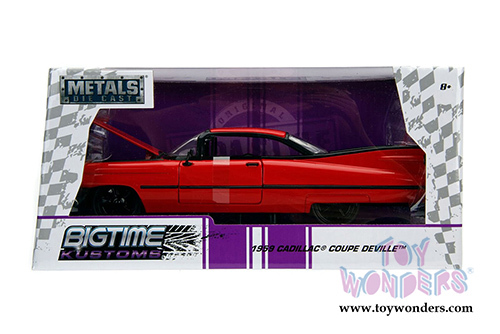 1:24 scale diecast collectible model. 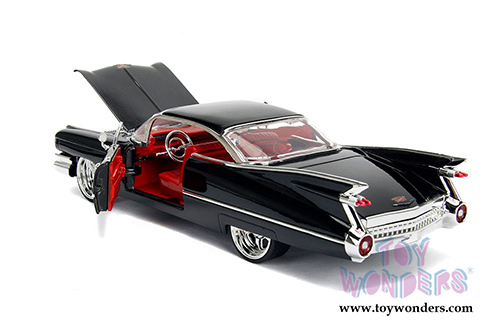 This 1959 Cadillac DeVille is a 9.25"L x 3.5"W x 2.5"H diecast classic car with openable doors, hood, and trunk. Freewheeling. 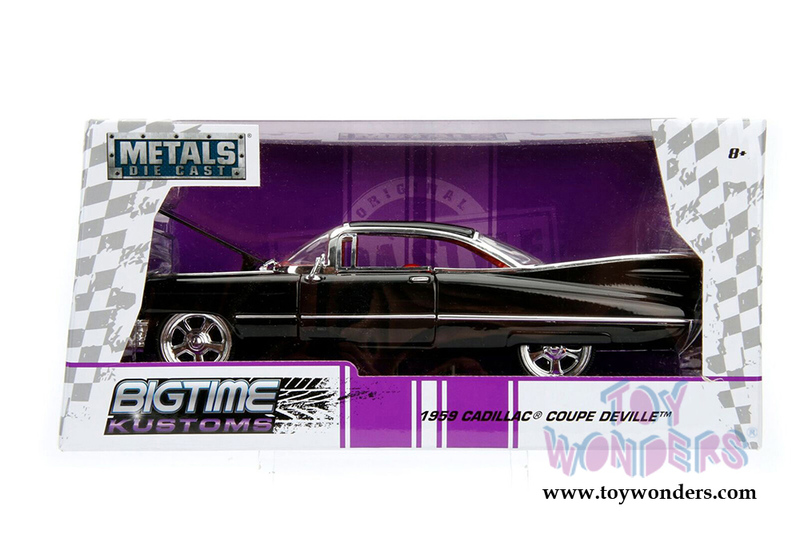 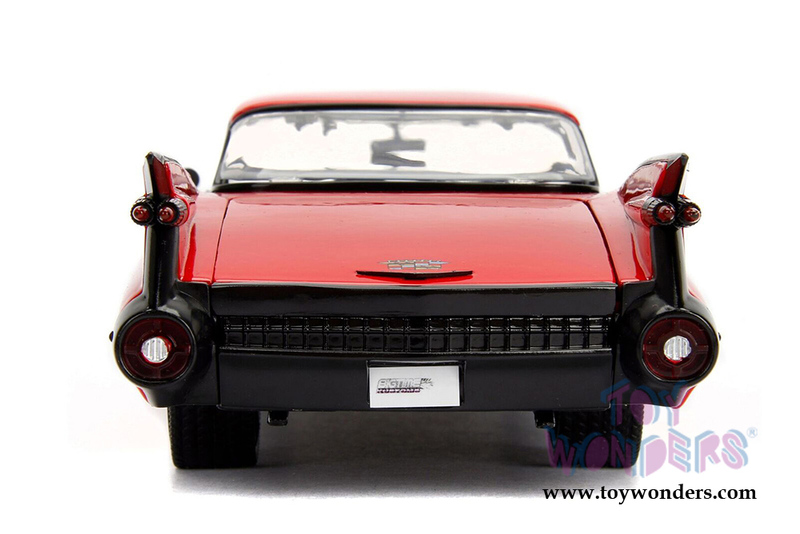 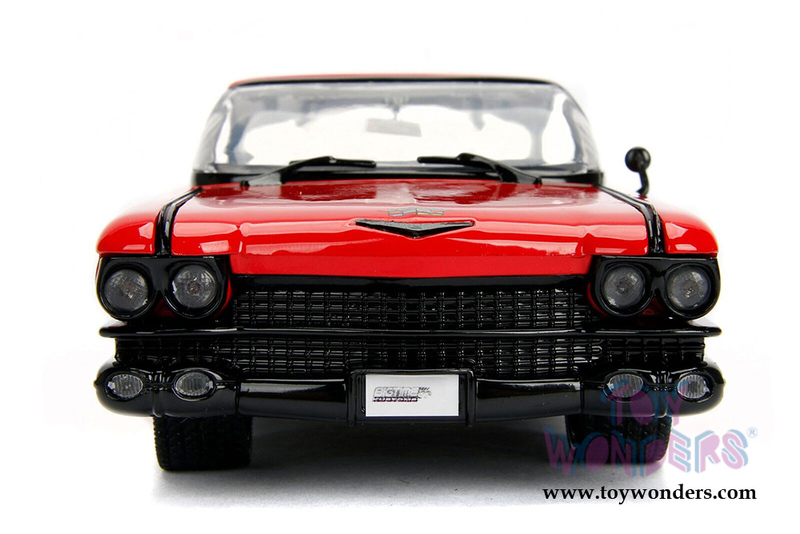 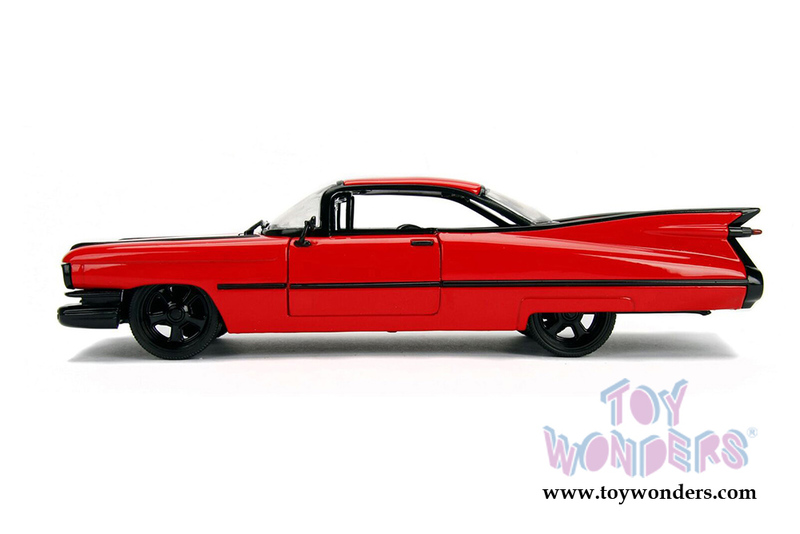 This '59 Cadillac DeVille is manufactured by Jada Toys. Individually packed in a window box. Window Box size: 9.75"L x 4.75"W x 4.5"H. GM is a trademark of the General Motors Corporation. 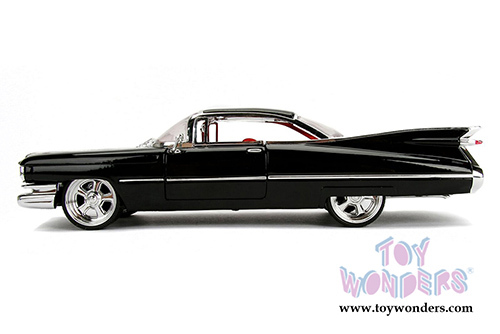 To see more Cadillac die-cast collector models (click here).